The EVGA Tegra Note 7 tablet was announced earlier this month, this new tablet is now available in the US and it retails for $200, and comes with Android 4.2.2 Jelly Bean. The Tegra Note 7 features a 7 inch high definition display that has a resolution of 1280 x 800 processor, the device is powered by a quad core NVIDIA Tegra 4 processor. 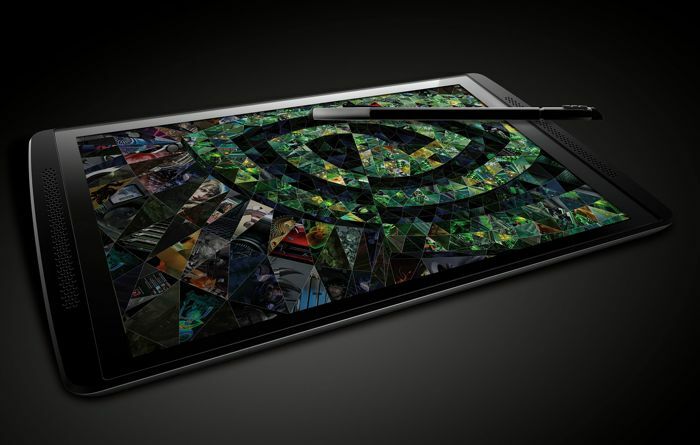 Other specifications on the EVGA Tegra Note 7 include 1GB of RAM and 16GB of built in storage, should you need more storage, the tablet features a microSD card slot for expansion. Do more, hear more, and play more with the EVGA Tegra NOTE™ 7, the world’s fastest 7-inch tablet. It all comes alive with the industry’s most powerful tablet graphics, a brilliant HD display, and incredible features in a sleek design that’s the perfect fit for your mobile life. Write and draw more naturally with NVIDIA DirectStylus™ technology that gives you up to 3x the responsiveness of the competition. Take on the latest games at full speed. Capture breathtaking HDR photos. Get lost in all your favorite tunes with front-facing stereo speakers and room-filling NVIDIA PureAudio™. And enjoy up to ten hours of HD video on a single charge. EVGA Tegra NOTE 7 is the perfect traveling companion at the perfect price. The EVGA Tegra Note 7 also comes with a 4,100 mAh battery, HDMI, 802.11n WiFi, Bluetooth and GPS, it is available now in the US from Newegg for $200.